In recognition of his hard work and success, Charles B. Roberts is ranked as one of the "Top Trial Lawyers in America " by the Million Dollar Advocates Forum, and was selected by the Wall Street Journal as one of the "Capital Region's Premier Personal Injury Attorneys". Mr. Roberts' law firm...Charles B. Roberts, Personal Injury Attorney, PC ...was featured in the "Top Law Firm " edition of Northern Virginia Magazine. Mr. Roberts has received numerous other awards, including several American Jurisprudence Awards for Excellence. Mr. Roberts' clients have included NFL football players, most notably a Pittsburgh Steelers/Super Bowl winning running back, television stars, multi-platinum recording artists,doctors, lawyers, elected officials, and thousands of others who needed a lawyer they could trust with their case. 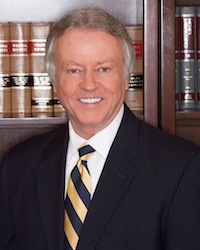 Charles B. Roberts has handled numerous high profile cases which have been featured in television programs, newspapers, magazines, and on the radio. One such case involving the wrongful death of a Virginia man resulted in the Emmy Award winning television show " Insider Exclusive " filming a nationally aired program starring Mr. Roberts. In another case, Mr. Roberts received nationwide publicity while successfully representing alleged White House Crasher Tareq Salahi in a personal injury lawsuit against the multi-platinum band Journey and Mr. Salahi's publicity agent. Mr. Roberts is able to negotiate settlements in approximately 95% of his cases and is always ready, willing, and able to take the remainder to trial, but only if the insurance company refuses to make a reasonable settlement offer on these cases. Please be aware there are legal time limitations for pursuing all personal injury cases, so please contact Mr. Roberts today for a free consultation regardless of whether you are located in Washington, D.C. or Maryland, or you need a Virginia personal injury lawyer. Mr. Roberts handles all of his personal injury cases on a contingency-fee basis, which means he will advance the costs of pursuing your case and he will not charge you a legal fee unless he recovers compensation for you. 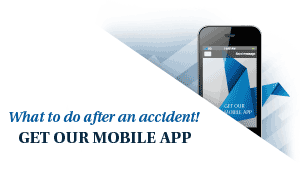 If you have suffered an personal injury of any type in Virginia, District of Columbia, Maryland, or any other state, call Mr. Roberts at 703-491-7070 ( Virginia) for a free consultation. Spoliation of Evidence in Virginia Personal Injury Cases During the discovery phase of a Virginia personal injury case, each of the parties can request that certain evidence is provided by the opposing side.